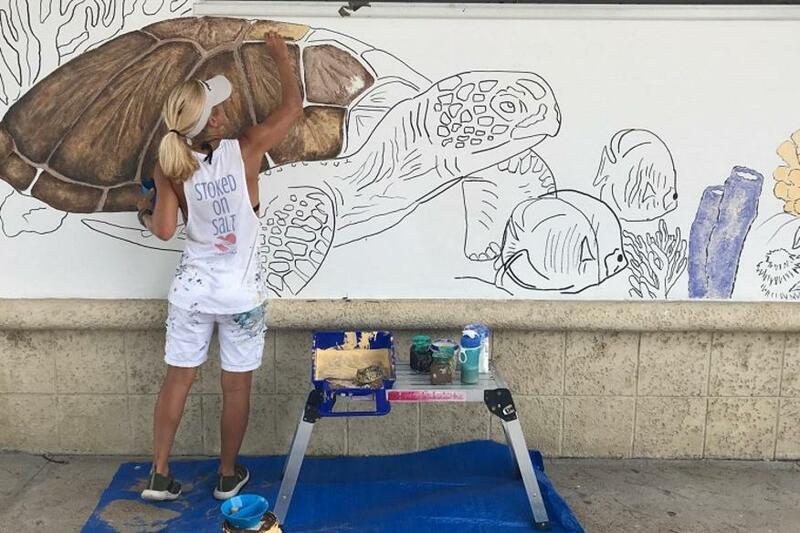 Stoked On Salt - aka ‘SOS’- Ocean Conservation apparel & art designed with the passion for the sea to help preserve and protect our living coral reef ecosystems. 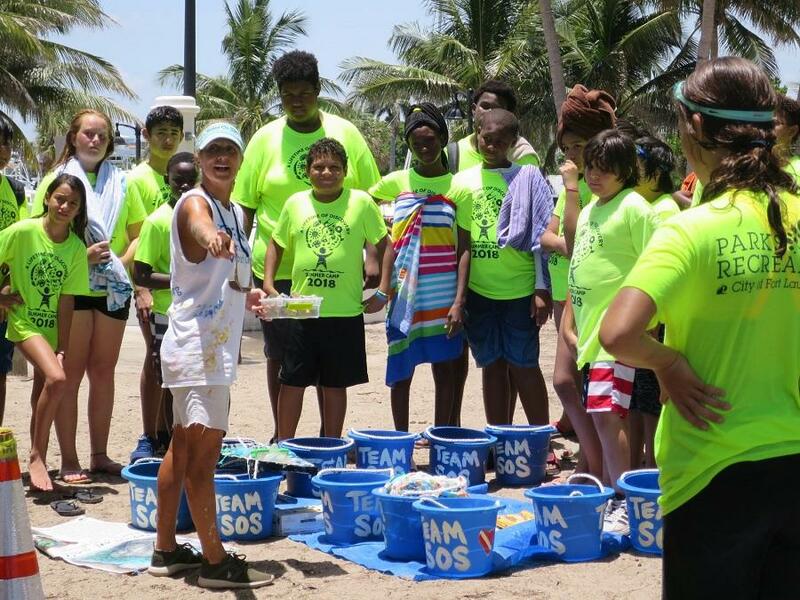 We use a small portion of our SOS proceeds to produce local Ocean, Beach, and Waterway cleanups throughout the year. 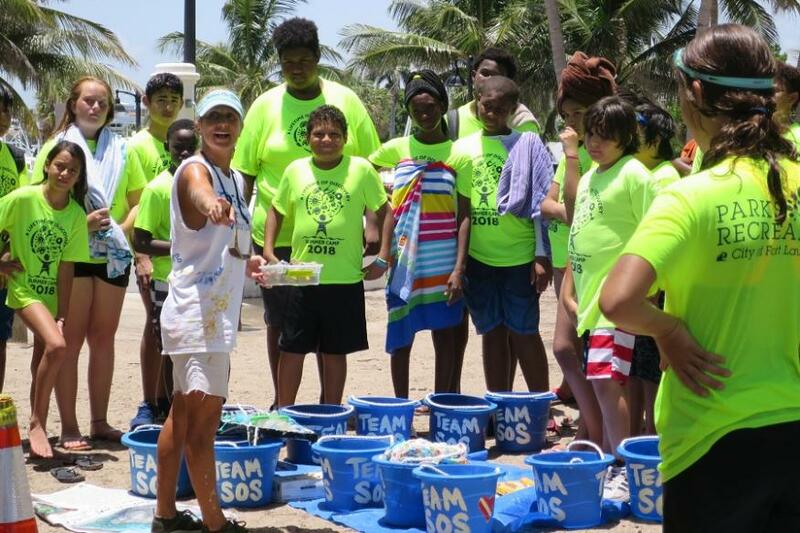 Our TEAM SOS consists over 2,700 volunteers ages 4 to 85 years old. 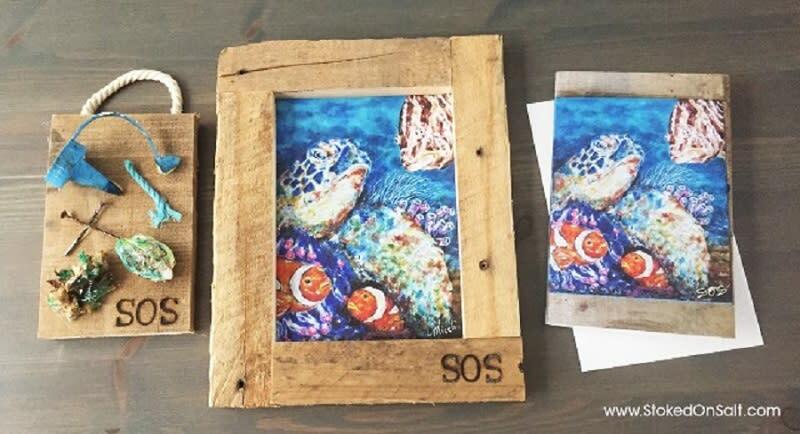 Every day tourists, residents, beach goers and divers drop off any unique beach debris that they find on the shoreline or under the ocean and drop into an SOS bucket. 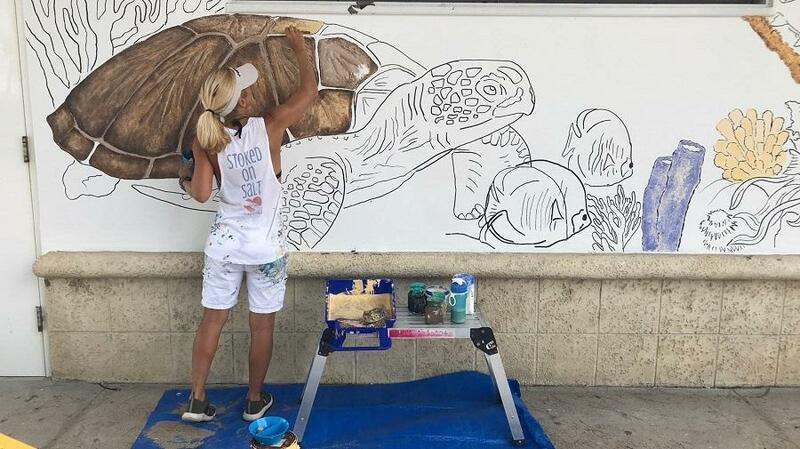 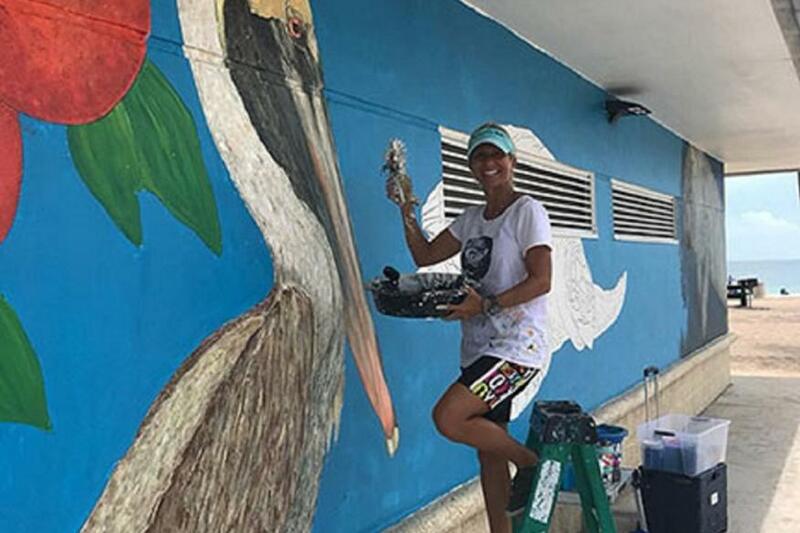 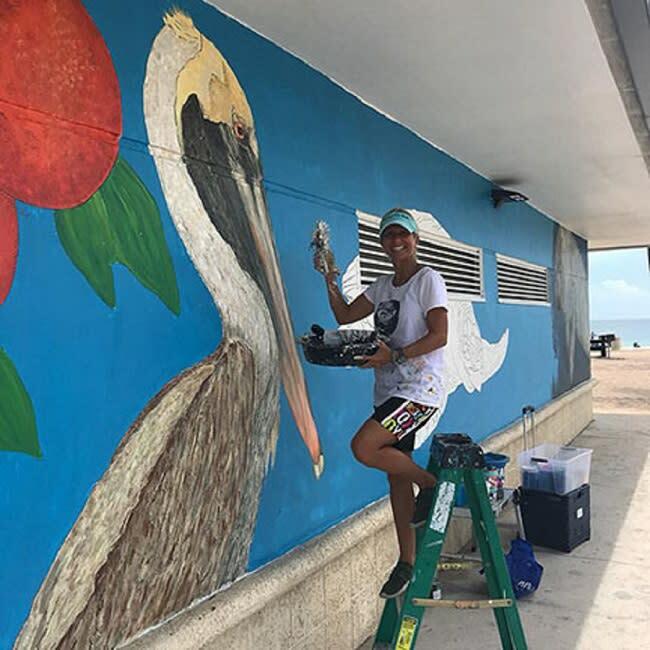 Once the debris is thoroughly cleaned, owner/artist Lisa Miceli paints outdoor beach Murals and paintings only using these debris items as tools to bring awareness to what is being discarded on the shoreline which can destroy marine, and ultimately, human life. 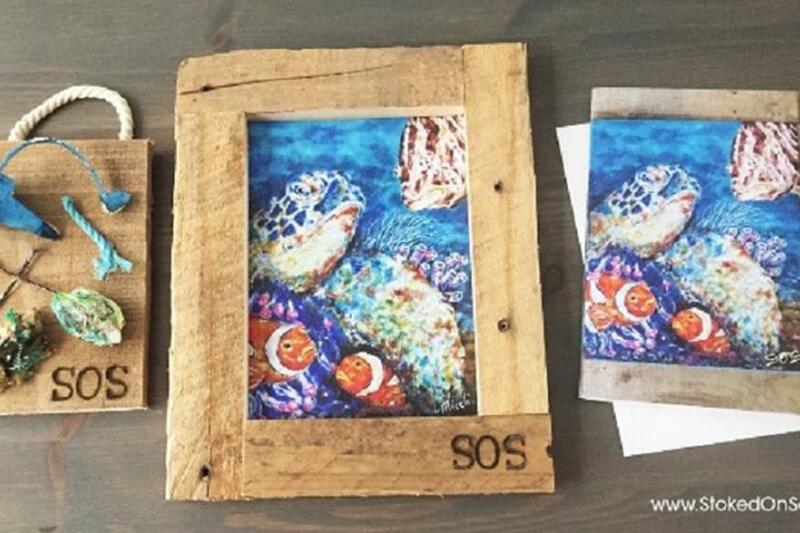 Through every sale, the SOS MISSION continues to work towards a clean, healthy ocean planet.